Yoga is not about bending like a pretzel. Yoga is about finding contentment where you are in life, with a desire to improve flexibility, strength and grace in your body, mind, and soul. 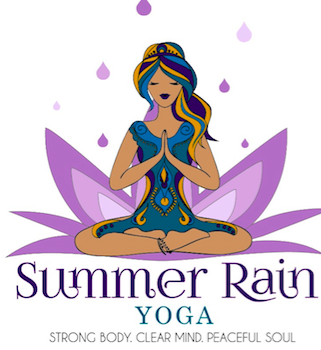 Summer Rain Yoga seeks to create an intimate, safe, and relaxing atmosphere where all ages and bodies can experience the physical, mental, and spiritual benefits of YOGA- Strong Body; tone muscles, gain strength and flexibility, Clear Mind; reduce stress, improve concentration, increase self awareness, Peaceful Soul; become more balanced, relaxed, and happy! the workout that’s been around for more than 5000 years!